1 Project for Mr. 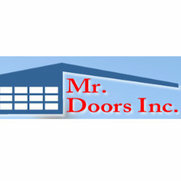 Doors Inc.
1 Review for Mr. Doors Inc. I damaged my garage door one Sunday evening and had in important meeting I needed to attend early Monday morning. I found Carlos in the Yellow Pages under Emergency Garage Door repair. He responded to my call and was at my house at 7 AM Monday morning. 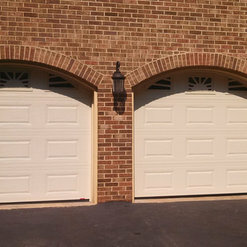 He got my car out of the garage so I could get to my appointment, then returned the next day to replace my two car garage door. Carlos attempted to find replacement panels for my original wood garage door, but was unable. So, he matched the new door perfectly with the others in my neighbor hood. Carlos has returned to my house on a few occasions regarding problems with my garage door. He is always extremely efficient, quick and finds me the best price. I highly recommend Carlos. 1 Ideabook for Mr. Doors Inc.